Soldering station BGA WISDOMSHOW WDS-420 4kW LCD 4,3"
Soldering station BGA WISDOMSHOW WDS-420 4kW LCD 4,3" is a professional station for removing and assembly of BGA, SMD, uBGA, CBGA, CCGA, CSP, QFN, MLF, PGA soldered with leaded and lead-free technology. Station is used for servicing motherboards of computers, laptops, consoles, mobile phones, car navigation and modules, and many other devices, so it has a strong position in all electronic services, or GSM. Soldering station BGA TOUCHBGA GM590 6900W LCD 7"
Soldering station BGA TOUCHBGA GM590 6900W LCD 7" is a professional station for removing and assembly of BGA, SMD, uBGA, CBGA, CCGA, CSP, QFN, MLF, PGA soldered with leaded and lead-free technology. Station is used for servicing motherboards of computers, laptops, consoles, mobile phones, car navigation and modules, and many other devices, so it has a strong position in all electronic services, or GSM. WISDOMSHOW WDS-520 BGA/microBGA Station 3,5KW new BGA is mobile repair expert machine design telephones rework station with laser position. Aoyue BGA Station 9001 is designed to work with different size BGA, QFP and others. 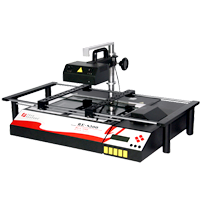 It has an advanced optical system "SPLIT VISION" and a precise positioning system solder system with which you can easily and safely replace every system. The built-in LCD monitor allows for precise adjustment of the position of the solder on the board. The five available profiles of heating and additionally the possibility of changing the parameters allow you to adjust parameters of the station to any needs. In addition the station has Soldering irons 70W. It is designed for lead-free soldering. Indispensable when replacing the motherboard chipsets, CPUs, GPUs and other demanding precision positioning. 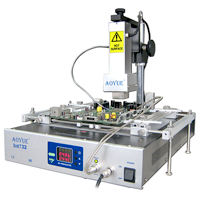 Aoyue Int732 Soldering Stationis designed for reball big PCB, eg . : laptops, gaming consoles (XBOX360 etc) and other large surfaces. 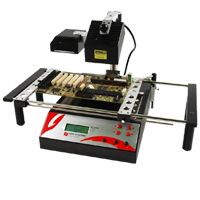 Aoyue Int732 has a universal, multi-PCB holder, large-area heater, the top emitter of heat 500W and Soldering irons. With three additional sensors and temperature profiles using heating process, the station allows easy and safe przelutowaæ any BGA. Unlike other repair stations Aoyue BGA company, in this model for upper heat source corresponds to the IR emitter which allowed the extension of the station uptime and eliminating the need for periodic replacement of expensive infrared lamps. BGA Station Achi IR12000 3,65kW 2xIR + HA is an ideal solution for small and medium-sized electronic services. 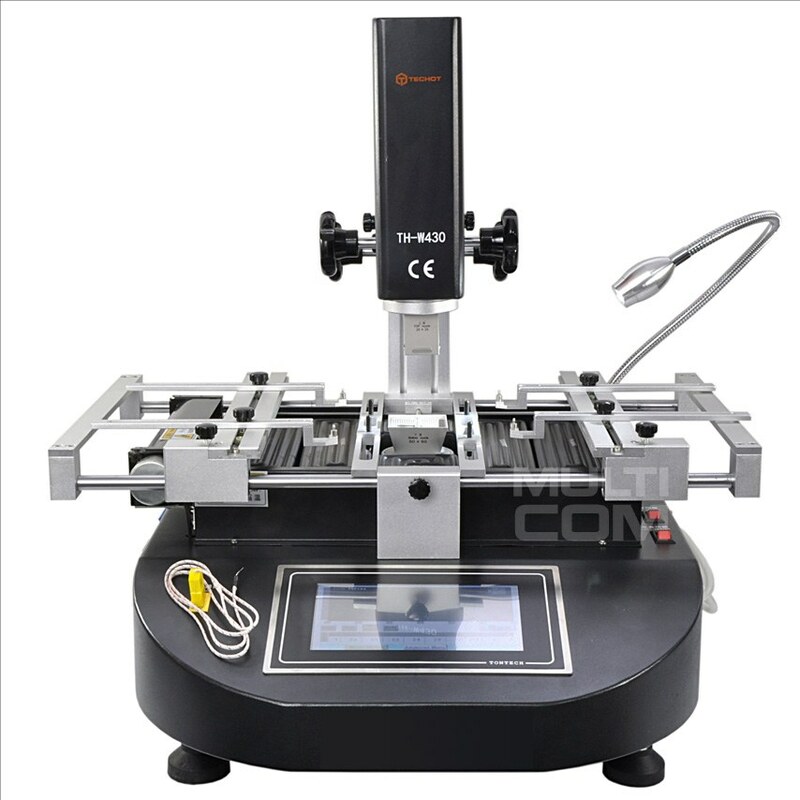 High power, precise control and universal table will allow for the exchange of components from very small size to large BGA solder technology leaded and unleaded. BGA Station Scotle IR6000 v2 is an infrared BGA rework station which can widely used in electronic repair such as cell phones, desktop, switch , PS3, Wii, Xbox 360 and other area in SMD reworking . It uses advanced infrared technology and can give even heat distribution and can protect your eyes. The station uses IR heating elements with total capacity of 2250W. 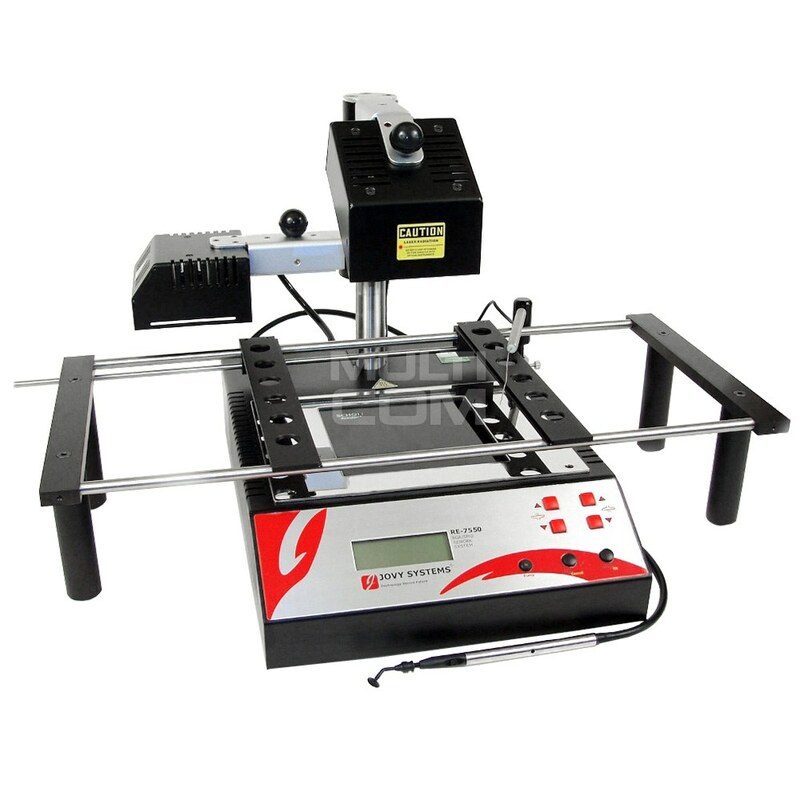 BGA Techot TH-W430 2x Hot Air Soldering Station is a modern and professional tool for precision soldering of BGA, PBGA, PLCC ... and wherever high precision is required. The easy-to-use touch screen control panel has a large heating surface and a handle for mounting larger PCBs and a three-component heating system. 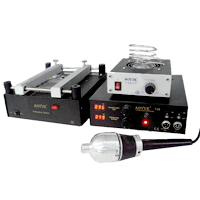 Infrared Soldering Station Aoyue 710 is an advanced station with manual IR. Applied technology eliminates the problem of shifting adjacent to the soldered components. The source of heat is here IR lamp, and a quartz heater. Ideally suited to work with BGA, micro BGA, QFP, PLCC, SOIC and small SMD components. 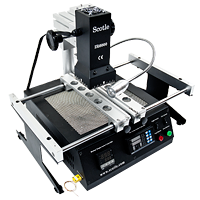 The use of the heater allows you to prevent deformation of the plate soldering. 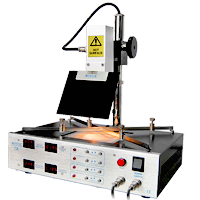 Infrared Soldering Station Aoyue int720 is an advanced rework station, infrared heater and soldering irons. It has an IR lamp mounted in an adjustable holder for easy operation. All operating parameters are set and read digitally. Applied technology eliminates the problem of shifting adjacent to the soldered components. The source of heat is here IR lamp, and a quartz heater. Closed loop temperature control ensures the safety of soldered components. Ideally suited to work with BGA, micro BGA, QFP, PLCC, SOIC and small SMD components. 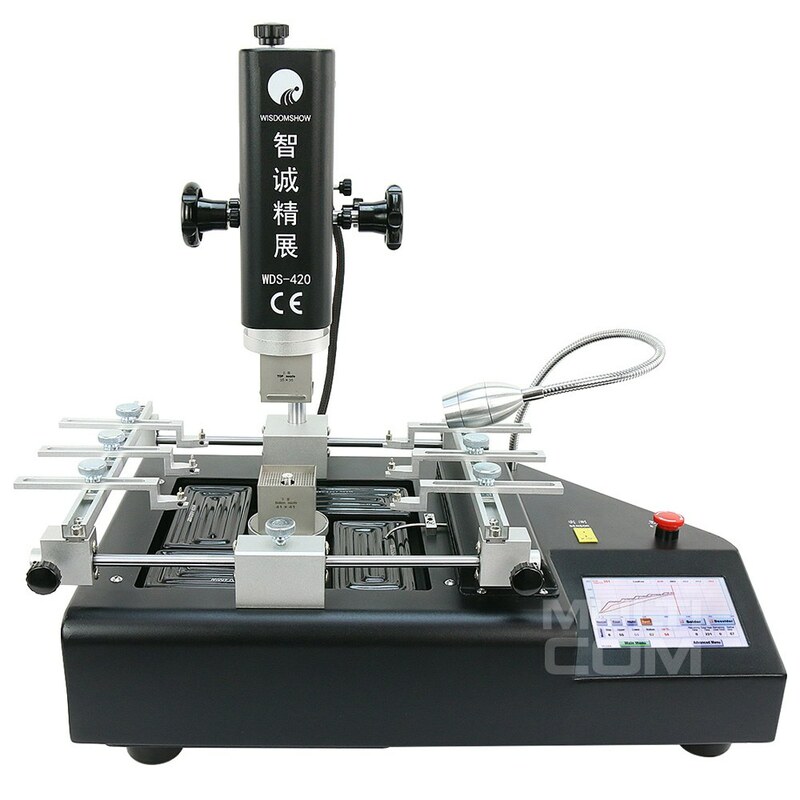 The use of the heater allows you to prevent deformation of the plate soldering. It has an IR radiation shield that protects the user's eyesight. Designed primarily for use with larger systems such as . : chipsets, motherboards, chipsets, embedded processors in systems and others. Jovy BGA Rework RE-8500 station it's a new SMD / BGA Rework Station from Jovy. After 7500 model we got now new bigger and stronger 8500 RE. Jovy Systems Products represents the best solution for SMD / BGA Rework for the money. Introducing its newest product, the RE-8500 BGA Rework Station. This new BGA Rework Station incorporates the latest in advanced dark medium infrared technology, using German made components, assembled in China. Using advanced technology, in conjuction with its partners and distributors world-wide, Jovy Systems Products is leading the market in BGA and SMD Rework Stations. 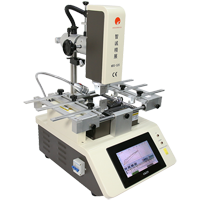 Jovy RE 7550 BGA Infrared Soldering Station with a table is compatible with lead-free soldering station technology. It is a specially designed infrared soldering iron that extends the ability of all professional and hobbyist repair and soldering services of smaller and larger components. Excellent technical solutions, amazing functionality and simplicity, while high quality makes it a product that will improve the quality of repairs. It is used for soldering BGAs, micro BGAs, QFPs, PLCCs, SOICs or SMDs. 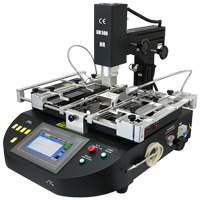 Jovy System BGA RE-7500 is a new SMD / BGA Rework Station manufacturer in the international market. Jovy Systems Products represents the best solution for SMD / BGA Rework for the money. 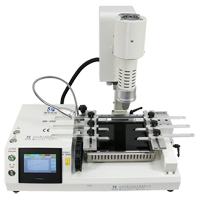 Introducing its newest product, the RE-7500 BGA Rework Station. This new BGA Rework Station incorporates the latest in advanced dark medium infrared technology, using German made components, assembled in China. 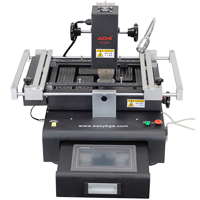 Using advanced technology, in conjuction with its partners and distributors world-wide, Jovy Systems Products is leading the market in BGA and SMD Rework Stations. Rework Station Jovy-Systems Turbo IR 1050W first station Jovy Systems using Hybrid technology uses the best advantages of infrared and hot air, thanks to gain a significant increase in output.